CMU Eurhythmics Workshops...2 weeks in! 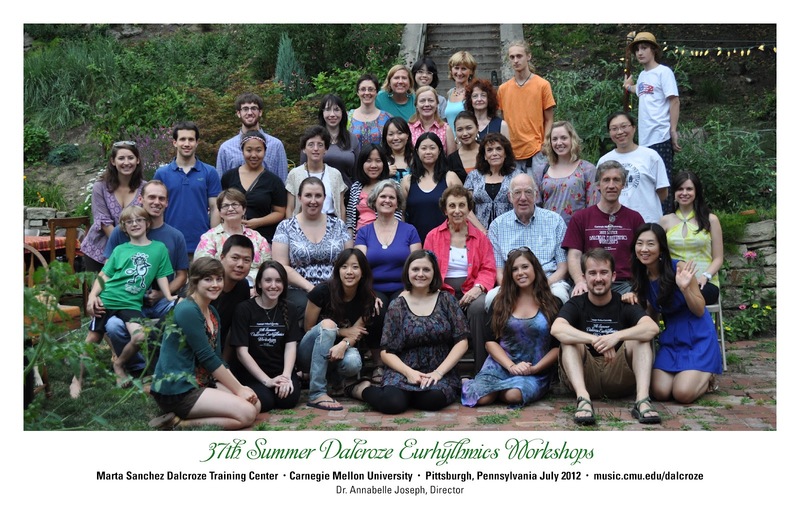 The 37th Dalcroze Eurhythmics Workshops at Carnegie Mellon are cookin! What a privilege to be a part of this tradition. I would bet that it is the longest running Eurhythmics Conference in the country and we are so excited to be working with these talented and hard working professionals. Performers, Teachers, Students...all working their tails off to improve their own musicianship and discover deeper truths in the art. Last week we observed elementary, high school, and senior citizen classes. This week we started the guided teaching experiences and are looking forward to the Certificate and License exams next week. If you have not had the opportunity to study in such a compressed, intense, and joyful setting, you really should block out the time in your summer schedule and join us next summer!